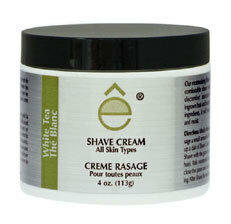 EShave Creams lather instantly, delivering essential conditioning ingredients to prime the skin of shaving. The rich, thick, warm lather helps soften the hair, open the pores, virtually eliminating shaving irritation for a close, comfortable shave every time. Apply with fingers or with a badger shave brush for a luscious lather. 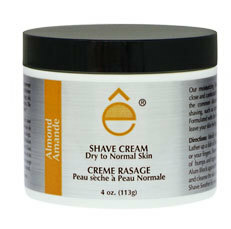 ê Shave Creams leave the skin moisturized and silky smooth. 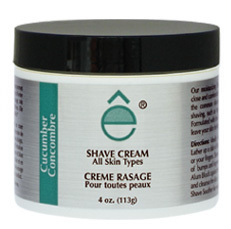 Each shave cream is formulated for different skin types to provide specific benefits. Run your ê Brush under warm water and dip it very lightly into your ê Shave Cream tub. Since it’s highly concentrated and “warm water activated”, use only a small dab of ê Shave Cream to generate a rich lather. Lather up the cream directly onto wet skin in an upward motion to keep the hair raised and away from the skin. ê Shave Cream coats and protects the skin from the direct contact of the blade, allowing the razor to glide easily when shaving. 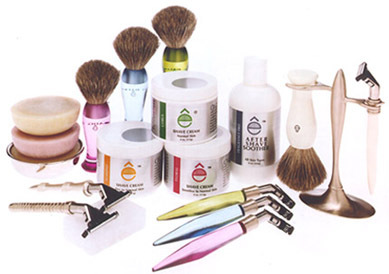 Should you not have an ê Shave Brush, use your fingers and warm water to lather up your ê Shave Cream. “And we highly recommend using the brush.” Great Shave Tip: Take a small amount of EShave and place in between bristles of the brush, close bristles, soak in warm water and then apply for a luxurious, rich creamy shave!